Hi guys! Todays video is my Dollar Tree Loves and Loathes Product Reviews #2. I share products I've been loving and some that I've not liked. I talk about makeup, organization, food and more. It's a way to share short reviews on products you've seen in my hauls. If there's a item you'd like me to review please ask and I will. 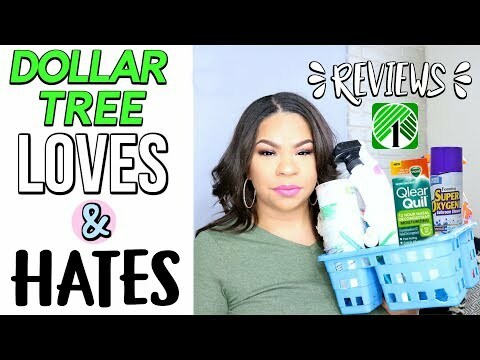 What are some of your favorite Dollar Tree items? SUBSCRIBE... IT WILL MAKE ME HAPPY! I'm a stay at home mom to 2 boys ages 3 years old and 3 months old. I have a passion for my family, for DIY projects, for beauty and for LIFE! I was inspired by this amazing Youtube community of moms and decided it was time to start sharing as we'll! Hi guys! 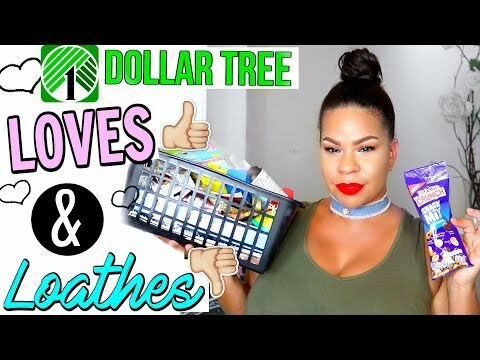 Todays video is my Dollar Tree Loves and Loathes Product Reviews #2. I share products I’ve been loving and some that I’ve not liked. I talk about makeup, organization, food and more. It’s a way to share short reviews on products you’ve seen in my hauls. If there’s a item you’d like me to review please ask and I will. SUBSCRIBE… IT WILL MAKE ME HAPPY! I’m a stay at home mom to 2 boys ages 3 years old and 3 months old. I have a passion for my family, for DIY projects, for beauty and for LIFE! I was inspired by this amazing Youtube community of moms and decided it was time to start sharing as we’ll! Loves lets see, every one loves gifts. Hi! I just not to long ago bought a beauty blender, haven't used it yet, thanks for the info. hidden word was Loves and I am a new subbbie and I did love your video thank you for your reviews it will save me money. Thanks for doing this video. I enjoy shopping at the dollar store and the reviews help me know whether or not to splurge on new to me products. Am I looking at jordin sparks big sister, wow cute. Your so cute! Love your videos! U r the target/dollartree facebook ? LOVES this type of video! I love it when I get to hear honest reviews – both good and bad. Thanks for sharing! "LOVES"
My two stores just really don't get much makeup. No white rain shea lotion or Milani lip liners or eye shadows. I actually bought some of the milani baked shadows a couple years ago at CVS and "loves" them so was lucky to find someone on your swap page to send me some, yay!